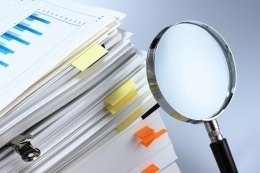 Company Partners Blog » What is due-diligence and how do I do it? Due-diligence needs thinking about for Investors when they are about to embark on an investment. However it’s just as applicable for those who are seeking investment to check out a potential Investor. In both cases you should verify that the person, business and facts as stated are correct. That’s not being mistrustful it’s just being business-like and expected by all parties to a potential funding agreement. Are there IP (Intellectual Property) rights involved? Any pending litigation or disputes? Customers: list of major customers. Is the business dependant on just a few customers? Can you talk to some customers? Suppliers: list of major suppliers. Is the business dependant on a few suppliers? Competitors and the unique advantage that this business may have. For Investors, where possible always use professional legal and accounting firms who will have a VERY detailed question check list for carrying out due-diligence. For smaller or even start-up businesses it may be that a simple management check and time taken to understand the market and the advantages of the business is enough. That is for you to decide, but you must make sure you do all necessary to verify people and facts. Both Investors and Business Owners should be aware that due-diligence takes time and can be detrimental for the business when the owner is distracted from normal operating duties by needing to find all the due-diligence documentation required and in answering the questions raised, but it is an essential part of selling or getting investment. Just how long does this procedure take and who pays for the searches and enquiries? It seems like buying a house and we all know you can be left out of pocket if it falls through. « Ignoring the future – Should business owners have pensions?